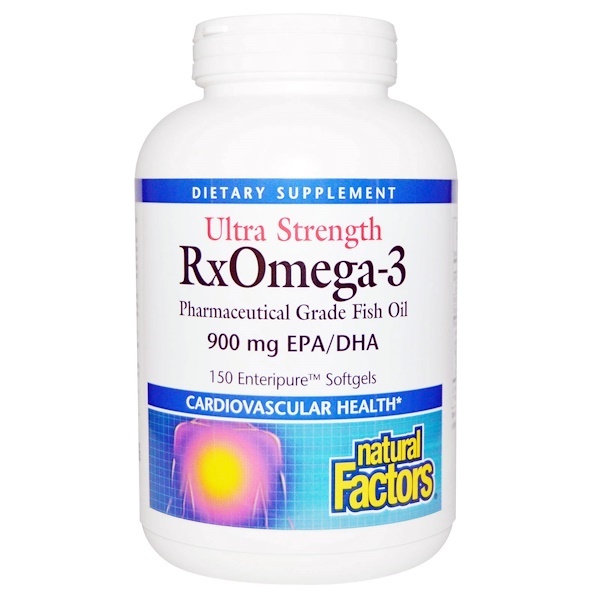 Ultra Strength RxOmega-3 is a pharmaceutical-grade fish oil providing one of the highest potencies of EPA and DHA available. Molecularly distilled and guaranteed for purity and safety from environmental pollutant like PCBs and mercury or other harmful compounds, RxPmega-3 surpasses the strictest international standards for quality. One serving (1 softgel) of Ultra Strength RxOemga-3 provides 600 mg of EPA and 300 mg of DHA omega-3 fatty acids for convenient 'all you need is one per day'. 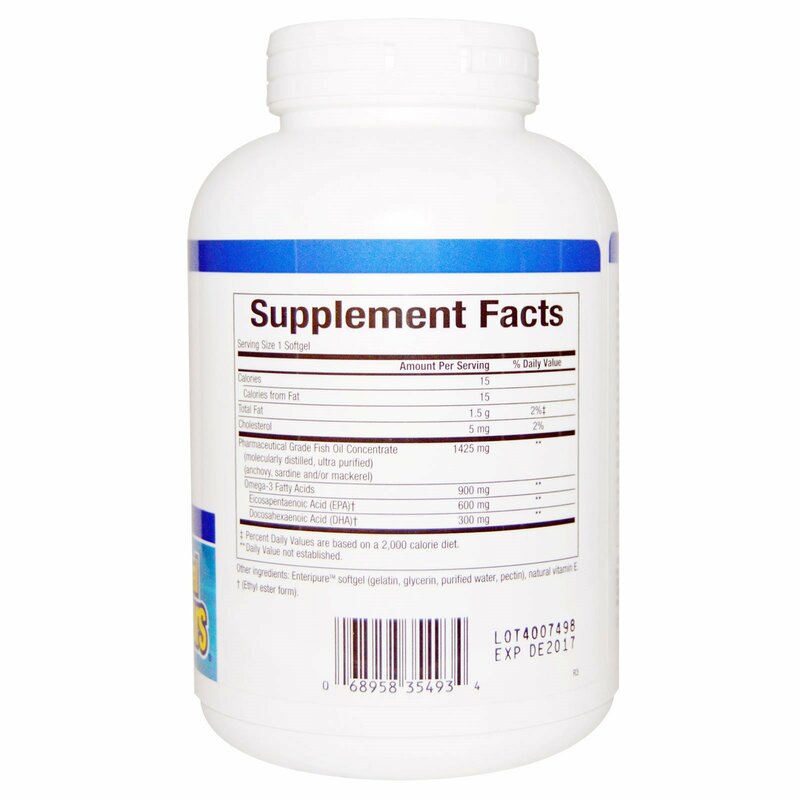 Ultra Strength RxOmega-3 Enteripure softgels offer targeted delivery using a technology that embeds pure and natural ingredients into the softgel casing to prevent them from breaking down in the stomach, ensuring no fishy aftertaste. Manufactured by Natural Factors to ensure and potency in accordance with Good Manufacturing Practices (GMP) of the FDA and Health Canada. Contains no artificial colors, preservatives or sweeteners; no dairy, sugar, wheat, gluten, wheat, yeast, soy, corn, egg, shellfish, salt, tree nuts, or GMOs. ‡ Percent Daily Values are based on a 2,000 calories diet.